For some time now I've notice that I keep posting "thank you' for this, 'thank you' for that...and I realized today that I really am grateful beyond my capacity to express. I'm grateful for the generosity of spirit, the constant love and support for humanity from Open, Trinity, Openhand, all the people who write comments and share their journey, all the people who read without writing, all the visible and invisible forces that contribute so much. Today, walking along the main street gratitude took a little bump up. I noticed the tiny precious weeds growing between cracks in the pavement, defiant of local merchants attempts at eradication. Nature.....in spite of us this precious growth persists, pops up with beautifully shaped perfect little leaves, asking nothing of us, and offering so very much - these adorable weeds but a part of the vastness and richness and sweetness of Nature. That's wonderful Cynthia. Thanks so much for sharing. I echo your heartfelt sentiments about Open, Trinity, all the Openhanders, and for the unity of all life that shines the way home to our true essence like a lighthouse that illuminates the path forwards through the dark, stormy seas. I'm immensely grateful for the unique, divine expression of beautiful you! Gratitude is such an amazing thing. Catherine, thank you for your response - I look forward to seeing you in November. Trinity, thank you for the Facebook posting about being touched deeply around gratitude. Your comment and watching a video interview of a psychologist who works with the victims of ritual abuse sparked more within me - thank you! I awoke with the sense that gratitude is something that is felt deeply within and is an expression of and a feeling of deep connection. Here challenges are the gift of opportunity, there is no good or bad, there is only the moment in which the gratitude is felt and experienced - a moment to moment thing like each breath that can only be happening now. Raising a glass at the etheric breakfast bar - a toast - here's to gratitude! another YES Trinity! A sense of completeness - a timeless feeling - a wholeness. I am so happy to hear that you're "moving out of the full on battle-like intensity of working with energy and helping to bring others up to the Angelic Space...to heal" That has such a 'Trinity feel' to it - and how wonderful is that, to be moving ever closer to your divine purpose! And..gratitude for being able to help...WOW. That's beautiful and there's a real wholeness in that - grateful for being able to give in your unique way, and grateful for the nourishment you receive in helping - a built in feedback loop!! Of course, that makes so much sense. Just have to join in on the gratefulness train....I am so profoundly grateful for this community. I can't imagine being out here alone anymore. I deeply love all of you!!! Thank you for the effervescence of synergy! I was pretty sure cooking would be a big part of this - but just wanted to check that out! I can't imagine anyone else being able to infuse food with the light the way you do. An angel doing body work/massage? OMG - YES!!!! Joann I was honoured that you visited with me the last time you were in Burlington - made me feel so connected....!! Spiritpaws, "effervescence of synergy" - love it! Hi guys! I have been a bit quiet with replies online here but have been reading your posts over the last week or so and just feeling so warm and connected to you all inside. Feeling a bit short on words here...but know I am so grateful for all of you, for this incredible community, for the love and energy that creates and supports this space. It's an etheric retreat to share the space with you all. Trin, so thrilled to hear how you continue to feel out how you can best be of divine service in a way that truly nourishes you. It's inspring for me...reminds me to honor my own nature as well. I, too, have been absent from the forums lately as the journey has taken on a life of its own with the completion of our new Yurt space, Anam Cara. 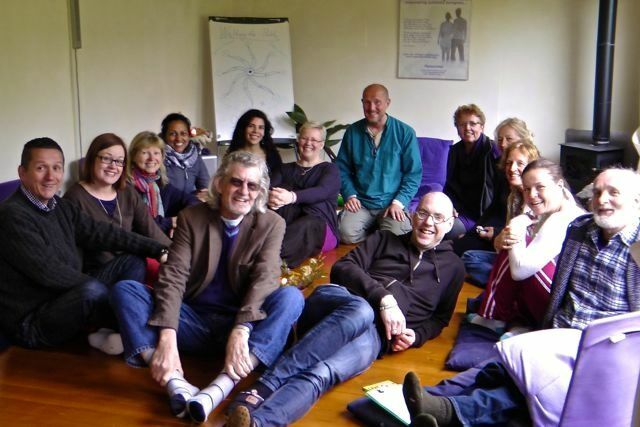 There is a growing spiritual community here, excited to have a sacred space to gather in and it is challenging both Geoff and me to stretch and grow beyond what we thought was possible. 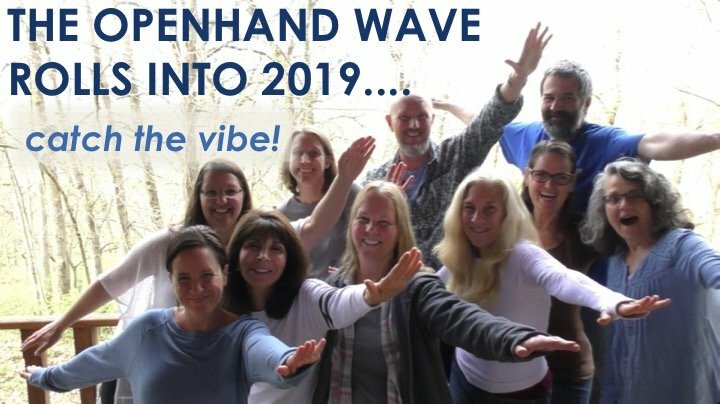 As Geoff injects his intense warrior energy into the creation of gatherings and healing circles, I am feeling a pull to fill a quieter role - holding space for all that are called to join us here, and not really knowing what that looks like. 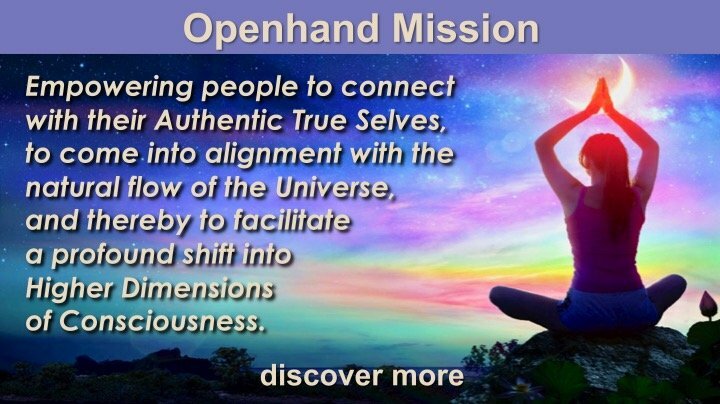 It is leaving me feeling uncertain which direction to go within it and is calling on all of my Openhand 'skills' to feel into where I can be my most authentic self in service to this growing community. Trinity, you have been on my mind for the past few days, wondering how you hold the space so solidly for Open and all of the Openhand community. So, synchronicity has brought me to this part of the forum - thank you, Cynthia for starting this thread. Trin, I appreciate your honesty about the dark times you sometimes experience and your challenges wearing so many different hats over the past few years. I have felt that I must be all things to all people and these sharings have helped me see that there is a place for me where I can support others on their journey while staying true to myself in my own growth - however that may look going forwards. It is truly an intense time of change for us and for everyone, it seems. So, we feel the fear and do it anyways.... free wheeling through the rapids with the waterfall just out of sight. It surely does keep us paddling. It is so great to see you all here again. Trin - can I book a massage? Trinity, my friend, your heartfelt message brings tears. Thank you for seeing me - seeing all of us as we truly are when the masks are taken off. I think I will head over to Anam Cara with a few dogs and connect in with your Celestial Meditation. I have a feeling that some of my answers are waiting there. It's great to see you here on the forum and to read about all the wonderful happenings at Anam Cara. Particularly, how you are honouring and fine-tuning your way of being in all of this. You and Trinity both inspire me so much since I, too, am yin yang-ing how I feel to be as I journey forth. I am happy to be a messenger for you. Mercury, the winged messenger, rules my sun sign, Gemini, so I'm in my element, my groove, so to speak, when I'm messaging. Not long ago, I was feeling very conflicted about continuing to be here on planet earth at this time and was feeling that perhaps as a soul it was my time to move on and graduate in a natural way -- not at all in a forced way. I felt such a longing to leave the constraints of my body and this 3D density and return home to a distant star. I asked Divine Benevolence to show me if I still have work to do. I observed as the Universe responded through synchronicity, showing me my work is not yet finished here (I knew deep down that it wasn't but reassurance is good!). 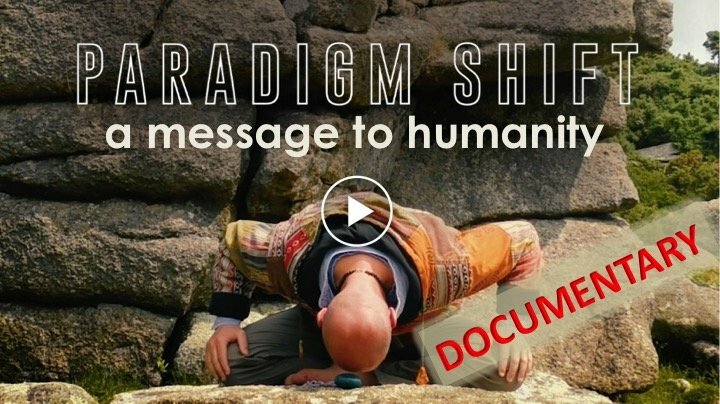 So I recommitted to singing a song of change to a higher paradigm. The only place I can speak about this is on this forum so I thank my lucky stars for you and Open and all the Openhanders. 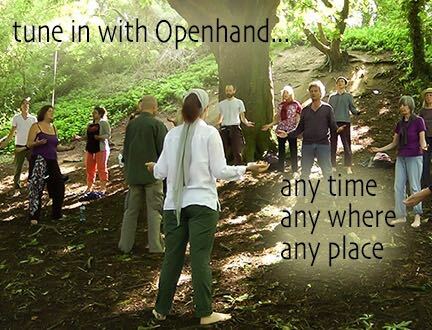 I feel much less isolated as I read about your own challenges in being here and about the challenges of other Openhanders. As Ringo Starr sings, "You know it ain't easy." He got that right. Yeah, I would say, Jan. And in that spirit, here's a fun 'n fast boogie for some accelerated yin-yanging. Come on girl, we're up for it! ha! Great to hear your sharing Ariel - the feedback is always appreciated - and it inspires others along the path too. The 'stuckness' can always be a valuable tool - when we understand the invitation is to go ever deeper into our feelings at that point. Sometimes it's hard I know, but that's where we can evolve and grow the most. Thank you for the well wishes and all that you do. In the stuckness, it's often beyond understanding. Understanding flows from the resolution of the stuckness. The soul is flowing into the bodymind. When it feels good and everything is understandable, then the soul is flowing freely, unhindered. But always there will come times when the soul identifies with the density. It fragments, buries itself in the physicality and hence the flow grinds to a halt. The soul is drawn into such density because that's where it can next evolve and grow. The density could be physical, emotional, mental or karmic. For example, it could be attachment to trying to understand - this in itself could retard the flow. So you don't necessarily have to understand what it's about. In fact trying to understand can remove you from the resolution of it. Instead feel into the stuckness - what is it like? How does it make you feel? Honour the pain of the stuckness and express it out into your world. Then you create mirrors around you by which to see it better. Feel deeper in. At some point, you become so accepting of the stuckness - so okay to be in it - that you become the One in it. This is the point that the fragment of soul can self-realise - realise the One Self. It's like you step through your separation from the source - because the efforting that kept you from it has ceased. The soul then reintegrates inside and the flow activates once more. Some times I just get overwhelmed, have to step back, and breathe!! Thank you for your guidance Open. It truly is amazing how my written words can express so much that you know what guidance to give. You have me pegged in this response and have given me much to sink into. Thank you! What a magical statement of awareness and realization Cynthia! Simply beautiful is the hallmark of great spirituality. Today I am grateful for and in awe of these beautiful birds. They were singing to one another in the garden this morning and I caught a beautiful photo of one, there was a green glow around his heart, where the sunlight caught his feathers. Then this afternoon as Trinity and I were driving back from a walk in the woods, we saw some fly over. I pulled the car down a side road and we had our very own private murmuration - really spectacular! beautiful video Fiona. pretty stunning - they must be so connected together, like bees maybe? Fiona, that is an amazing sight! Have never seen that many birds together in such an organic symphony. Reminds me of schools of fish in the ocean. My heart is leaping with joy. Cynthia - it was my pleasure to get your books out to you. Aren't they gorgeous? Fiona - it is a such a pleasure to watch your video as the sun comes up over the horizon here this morning. I felt like I was inside of their flowing grace. Yes the murmurations are amazing, it's like all the individual birds are connected and move as one! Isn't nature amazing - birds, bees and fish! I was at a wonderful Martha Tilston gig tonight and this song reminded me of how grateful I am that I no longer work from 9 til 5 within the system, no longer "sleep riding". I am so grateful to have a life and "work" that gives me sooo much joy and fulfillment! The sweetness of freedom. That video reminds me so much of when I was teaching. Can you imagine a curriculum for art? I love that once a break is made, it gives others permission to likewise break free - although in breaking free we need to find our own path, not just follow.. I am so grateful for all the sharing that is done on this and other threads. I don't often post, but do find my head bobbing and my heart and soul swelling as my 'friends' reveal more and more of the majesty of their being. Thank you most precious Fiona for this beautiful reminder of what we do to ourselves when we enter the daily grind - the grind that we educate our children to participate in. Aye carumba we are nuts! !